Recently I came across a picture of a dog looking in a mirror and the caption on it was “Today is the day, I can feel it! Today is the day my plans to catch my tail come true!” Today, I feel a tad bit like that dog. You see, I had plans. Yes, I had lots of plans for when my daughter headed off to college. Whenever family and friends asked me what I was going to do with myself after 18 busy years of parenting, I would rattle off a few of the plans I had. I planned on being one busy empty-nester! I planned on joining a local hiking group and going on long weekday hikes, at least once a week. I planned on joining a dinner club and meeting new people. I planned on joining that local running group that has organized weekday runs in my neck of the woods. I planned on cooking more, writing more, and trying to master video. But, a little over a month after my daughter headed off to college, these plans still remain plans; those dog-catching-his-tail kinda plans. You see, I didn’t plan for the quiet that would come when my daughter left. I didn’t realize how much her singing in the shower, her talking to the dogs, her exercising her right to listen to her choice of (what I deem) horrible music, fed my psyche. All of a sudden the voices in my head are louder – seriously, I don’t have voices in my head (other than mine of course!). And the fact that she isn’t having (and enjoying) the dorm life she, or I, envisioned, throws an even bigger wrench in my plans. So, I decided to do something that wasn’t in my immediate plans. Instead of waiting till next year to put my house on the market, I decided to do it this year. Between having my house on the market and looking for another one while juggling work and a few web development classes at a local college, I feel more and more like that dog catching his tail when it comes to those plans I made! While I might have said no to that local running group, or to going on long hikes, or joining that dinner club, for that matter, I have said yes to going on long, slow runs by myself. It’s a lot less quieter on those trails (mostly because of my huffing and puffing) than it is at home. And running has a way of feeding my psyche like my daughter’s constant noise does. However, some days, squeezing in long runs along with everything else going on leaves me very little time to cook. And some days, it’s just not as much fun cooking for one as it is cooking for two or many. 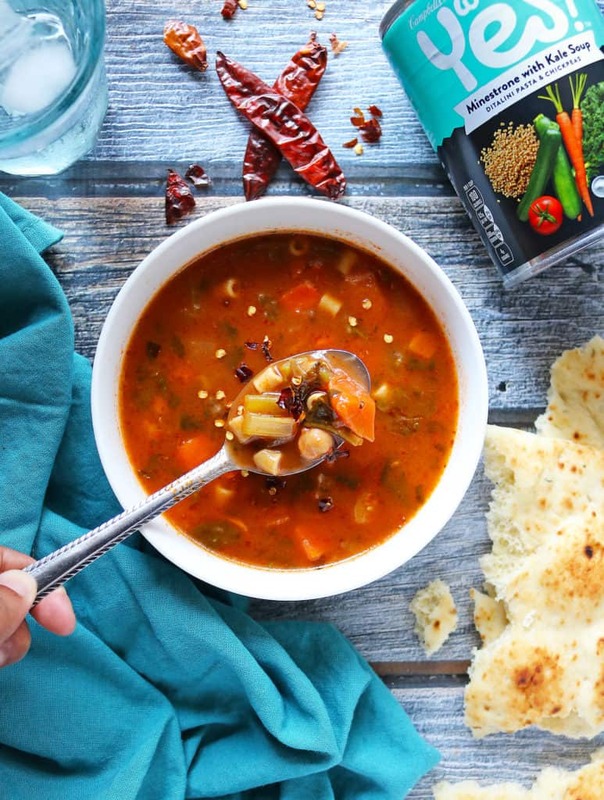 So, on those days, I reach for one of my favorite Well Yes!® Soups – with some naan or a toasty piece of baguette and some fruit! Well Yes! challenges the status quo of canned soup by demonstrating a point-of-view about the value of positivity & joyfulness. Well Yes! 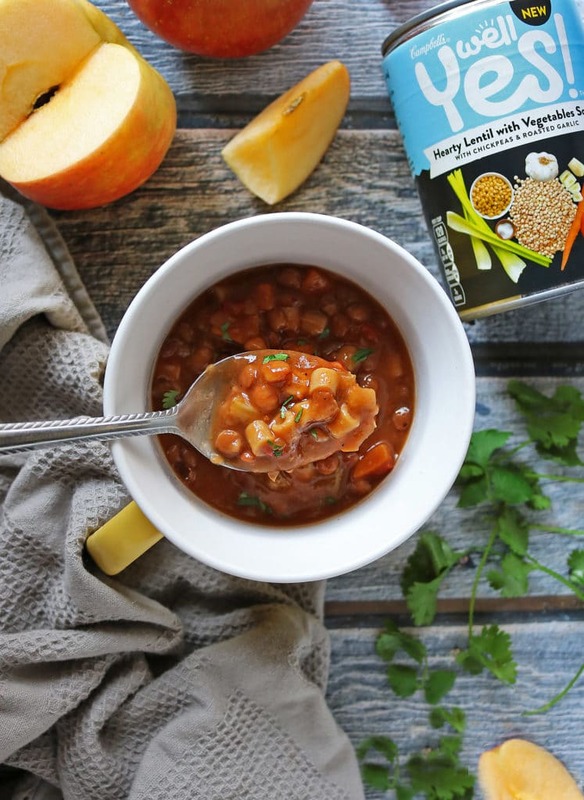 is a line of soups made with nutritious ingredients, like chicken meat with no antibiotics, sweet potatoes, kale, and quinoa. All Well Yes! 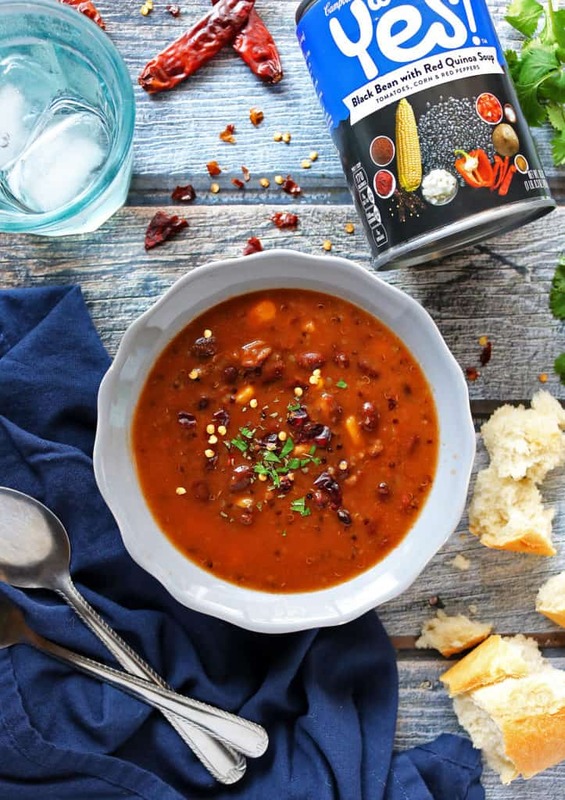 soups are crafted with care and contain purposeful ingredients that do not contain artificial flavors, colors, gmo ingredients, and come in cans that contain non-bpa lining. Well Yes! Soups are available at most area retailers AND you can $ave 50 cents on 2 with this coupon. 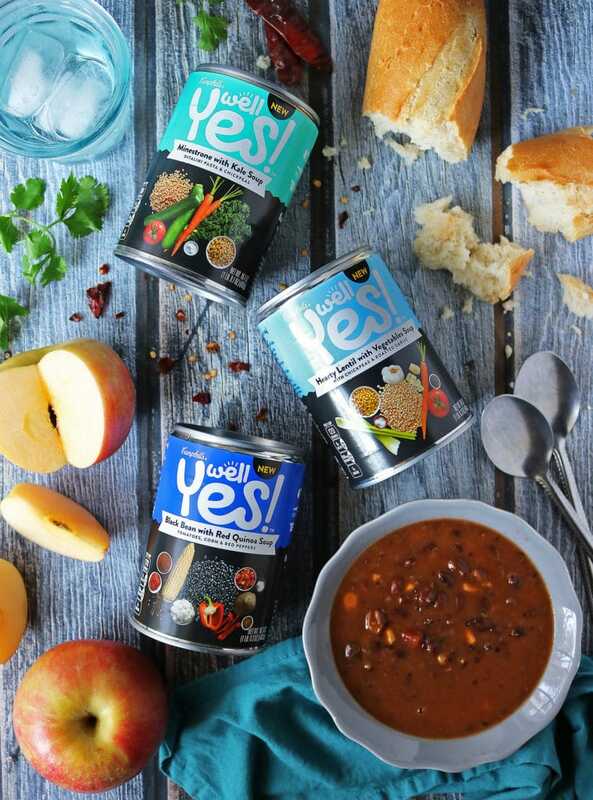 If you happen to be looking for a better, more positive option within the canned soup category, say yes to the good stuff so you have what you need to say yes in the rest of your life. Well Yes! Soups: “A Soup in the Right Direction®” Curious to know more? Then check them out on Instagram and Facebook! By the way, if you’d like a chance at being up to $500 richer, then don’t forget to enter the #WellYesMoment Sweepstakes in the widget below for a chance to win up to a $500 Visa gift card! It’s as easy as clicking, logging in, and sharing your Moment of Yes story! If you win, think of all the ways you can use the prizing to achieve your Moment of Yes! Now I’m off to go run and grab me a soup before I prepare for dinner with neighbors tonight! Here’s hoping your weekend is filled with Well Yes! moments! These Well Yes! soups sound really good Shashi. And probably quite comforting after all that you’ve described you’ve been going for. Hope you manage to get some of those things you’ve been meaning to arrange, arranged! Take care though too. Neil! I love soup season! Legumes are not only healthy, also very delicious. So Jon went out and got me 4 or 5 different kinds of Well!Yes soup and I’m just about to dip my spoon into roasted chicken with rice…ahhhh…..